Are you struggling to lose weight or feel energized? Let me introduce to you the 3-Day Refresh program. It’s a 3-day clean eating program from Team Beachbody. The 3-Day Refresh will help you lose weight fast and build your fat burning metabolism. It’s the best body cleanse to help you break the bad eating habit cycle while nourishing your body. Ready to feel your best? CLICK HERE to order your 3-Day Refresh! We all want to feel cleaner, lighter and energized instead of overweight and lethargic. 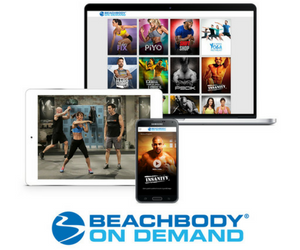 Who Should Use 3-Day Refresh from Team Beachbody? Want to lose a few pounds quickly. Look and feel better in just 3 days. Have tried and failed with other detox programs. Fallen off the wagon and need to clean-up your act. Undo the damage of a binge. Feel lighter, to feel cleaner and healthier, to improve digestion, to curb cravings for junk food, or to improve mental clarity. What is Included with 3-Day Refresh? Just think, you can get a flatter belly. Feel lighter and more energized. And your clothes will fit better. 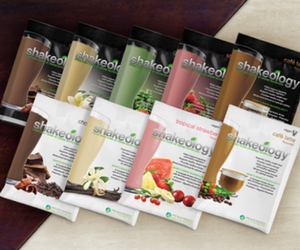 The 3-Day Refresh Complete Kit comes with 3 packets of Shakeology—your choice of 6 flavors (we recommend Chocolate Vegan or Tropical Strawberry Vegan because plant-based proteins are often easier for the body to digest), 6 packets of Vanilla Fresh (high-protein shake), 3 packets of Fiber Sweep (digestive health drink), and 1 Program Guide. SHAKEOLOGY for breakfast – Packed with potent superfoods, Shakeology starts each day of your Refresh with Your Daily Dose of Dense Nutrition to help improve and support all your body’s vital functions, while also helping to maximize energy and maintain healthy blood sugar levels (available in your choice of 6 flavors, including vegan options—recommended). FIBER SWEEP drink – Gently and naturally eliminates waste from your digestive system with its patent-pending blend of whole ground flax, chia, and psyllium seed husks. As part of a healthy diet low in saturated fat and cholesterol, Fiber Sweep can help lower cholesterol, support healthy blood sugar levels, and may even reduce the risk of coronary heart disease. 3-Day Refresh PROGRAM GUIDE – This comprehensive guide walks you through how this program works, what to expect, and how to prepare your shopping list, as well as your body, for the 3-Day Refresh. It also contains a menu planner with numerous easy-to-make, nutritious, and delicious meals, a list of fruit and veggie options, guilt-free flavorings, and recipes for fresh-pressed juices. 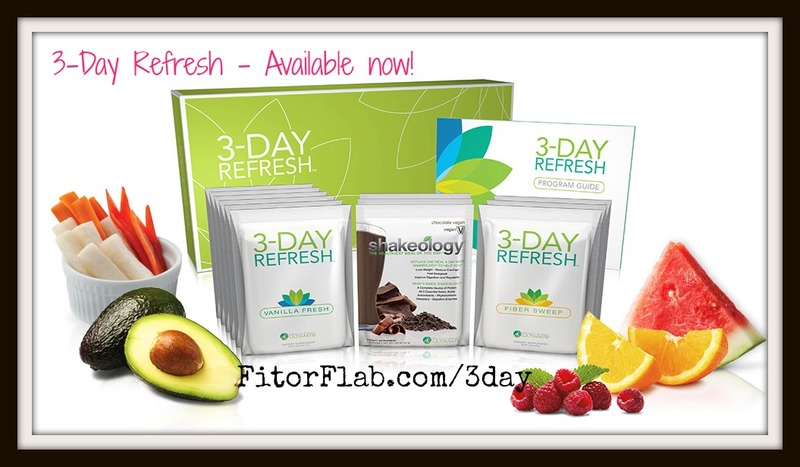 Why is 3-Day Refresh Different than Other 3-Day Cleanse Programs? Juice cleanses and other popular short-term cleanses provide incomplete nutrition promoting muscle loss instead of fat loss and can cause a rebound due to the lack of adequate protein, low fiber, and/or high sugar levels. Many juice cleanses range from $50–$70 per day, while this 3-day program is only $23 per day for the Complete Kit. It offers a superior nutritional solution. Ready to feel your best? CLICK HERE to get started with your 3-Day Refresh.